NOTE: This course is available for Presale now at a reduced price – Click the sale button below. We’ll be starting to upload the content over the coming months. See the comprehensive course outline below. In this Introduction to CFD course you will learn what CFD is, how it works and what steps are involved. This is considered an introductory course that will give you an overview of this valuable engineering tool and point out all of the common areas that can lead a non-CFD educated user astray! By the time you get to the best practices section of this course, you will be able to intuitively understand why these best practices are important and you will be able to confidently discuss and request CFD simulations for your own geometries. We highly recommend that this course it taken prior to the Practical CFD course for Race Cars (and other external aerodynamics) as it will help you to understand what the settings relate to, how your solution accuracy is affected and how to minimise your solve time to increase productivity. This is a must for FSAE and Formula Student entrants who are using or planning on using CFD. The old adage, garbage in = garbage out definitely applies to CFD, so make sure you understand what you are doing and what affect it is having on your development. 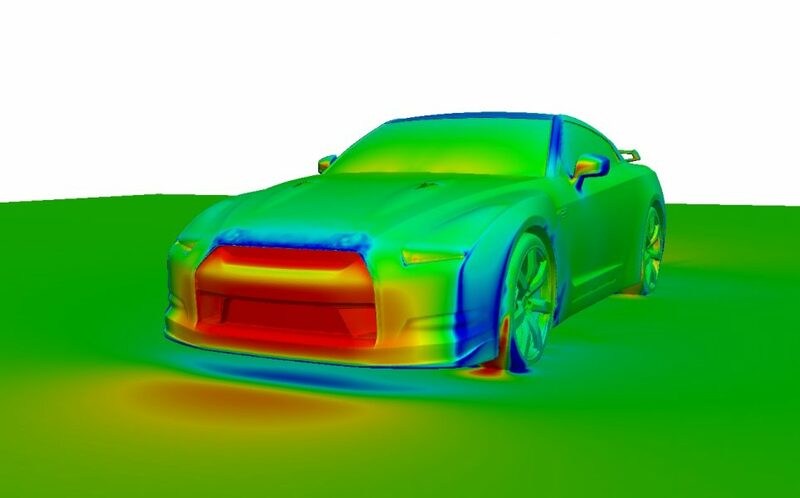 This course is designed for students and professionals with an interest in working in motorsport or in fact any engineering field as CFD is now a prevalent tool in many industries. Over your time as an engineer this knowledge will be invaluable in helping you understand how CFD can be used to benefit product development and problem diagnosis. This course is also ideal for managers who wish to understand the CFD process and the requirements to generate valid and useful simulation data. This course is written by a former Aerodynamicist for Williams F1 with an MSc in Race Car Aerodynamics from the University of Southampton. We are available if you have any questions during the course. Just email us. If you’d like to take all of our courses, check out our VIP Membership. If you have a group that would like access, please contact us for discounted rates. FSAE and Formula Student competitors are encouraged to take this course. What can CFD be used for?